This week, as always, I’m excited to share a couple of awesome resources for the diabetes community! I’m so proud of my T1 friend Edward Fieder, founder of the non-profit organization The Faces of Diabetes for bringing what was a true labor of love from just an idea, to being held in the hands of hundreds, soon to be thousands of people around the world! It took Edward four years, hundreds of hours of photography (he’s a great photographer!) and lots of overcoming obstacles to create this beautiful picture book aimed at showing the world that those of us affected by diabetes are strong, and capable of achieving anything we desire. I’m honored and humbled not only to be featured in the book, but to have made the cover! I honestly didn’t know that was going to happen, and was floored when I first saw it! Get your own copy, or grab one for the person with diabetes that you love today! All proceeds go directly to the Faces of Diabetes non-profit organization. Whew! I took a bit of time off from interviewing after conducting 30 interviews for the Peer Diabetes Mentoring Summit last year, but I’m back at it again. I really missed it! Hannah and Aaron are the co-founders of Sproutel where they create toys that teach kids about their health. After meeting at Northwestern University, they started working together to create Jerry the Bear – an interactive teddy bear that helps children diagnosed with type 1 diabetes. This was such a fun interview to do! Hannah and Aaron are passionate about Jerry the Bear, and we even get to see how Jerry works to help kids learn how to take care of their own diabetes, plus a tour of the workshop he was created in along with the 10 prototypes he went through to get to where he is now! Get your own Jerry the Bear, or grab one for the person with diabetes in your life, or donate one, or all of the above, here! 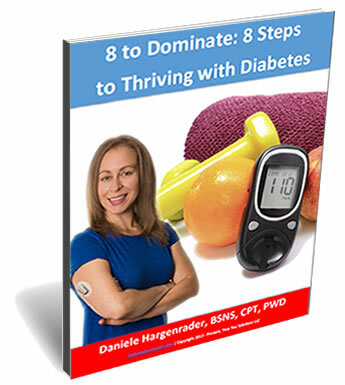 I hope these resources serve you and add value to your diabetes journey! There are so many ways we can connect with our peers, whether it be through books, interviews, social media, in person, or anywhere in between, it’s always so comforting to know we are not alone. As always, lets consciously choose to be more loving, both to ourselves and others this week because YOU deserve it, and the world needs as much love as it can get! P.S. If you ever feel like you could use some accountability and support with your diabetes management, fill out this short questionnaire and set up a time for us to chat about coaching. Looking forward to getting to know you better!